Looking for an “aha” or “eureka” moment? How about many such moments, all found in one book? Look no further! This book contains all that you need to find happiness or well-being in your life. What is the roadmap to happiness in this life, and can it be trusted? What is the vehicle for traveling along the road, following the map? If I reach happiness, what will it look like and how does society flourish? My book can help you answer the above questions and find your personal road to happiness. This road is even illuminated with the works of great masters from the fine arts. I offer you the opportunity to reflect on what is important and then refine your thoughts to obtain true insight into finding happiness in you life. My book revolves around the accumulated knowledge of many past generations arranged into an exciting new device, the Prose/Art Exposition. This is a dynamic synthesis of the intellectual theories of human motivation from the world’s great myths, philosophy, and psychology, with inspiring validation by the works of great artists from the fine arts. This is the roadmap to happiness, displayed in seven galleries (or segments of the road), for you to view. The Prose represents the well-known ideas of three modern thinkers and four ancient philosophers. The Art represents 90 well-known works of great artists, poets, composers, and choreographers from the past 500 years. They are displayed to translate the Prose into human feelings, validate the experience, and inspire you to embrace the journey. If you are to move forward towards happiness, the journey requires a reliable vehicle to follow the roadmap. That vehicle is a gift that is within each of us. For some of us this gift is difficult to keep under control; for others, it is buried deep inside and requires coaxing to bring it out. The philosophers, psychologists, classicists, and artists are all in agreement: happiness can not be reached without it. 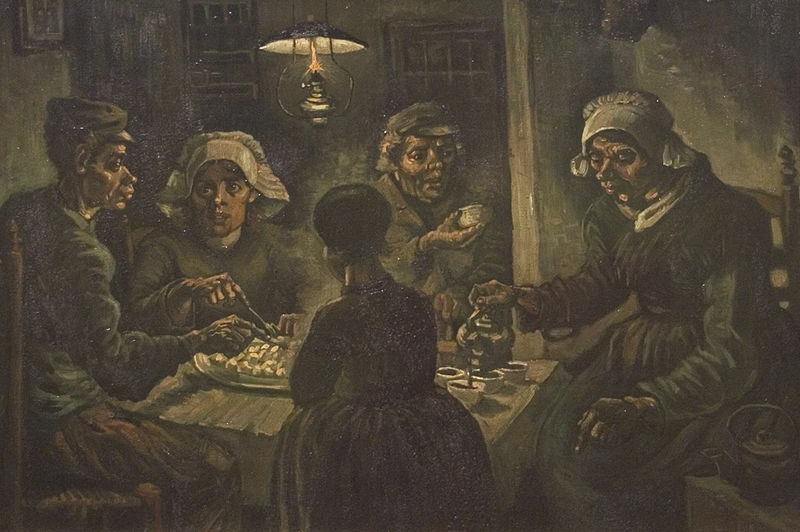 I discuss what Vincent Van Gogh is illustrating in his painting, The Potato Eaters, reflecting the satisfaction of the most basic need mentioned by the great thinkers as necessary to begin the journey to happiness. 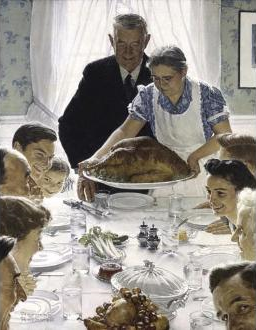 I end with how Norman Rockwell in his painting, Freedom from Want, illustrates the final state of happiness we all seek. And, I offer many other works of fine art to portray the various segments of the road to happiness in between the two mentioned by Van Gogh and Rockwell, so that you will know that you are on the right track. It is these great works of art, supporting the research and teachings of the great thinkers, that give comfort that the road to happiness is there to discover. You will find that there is no better approach for finding individual happiness (including happiness in the next life)! To begin your road to happiness, simply click on the book image on the sidebar. 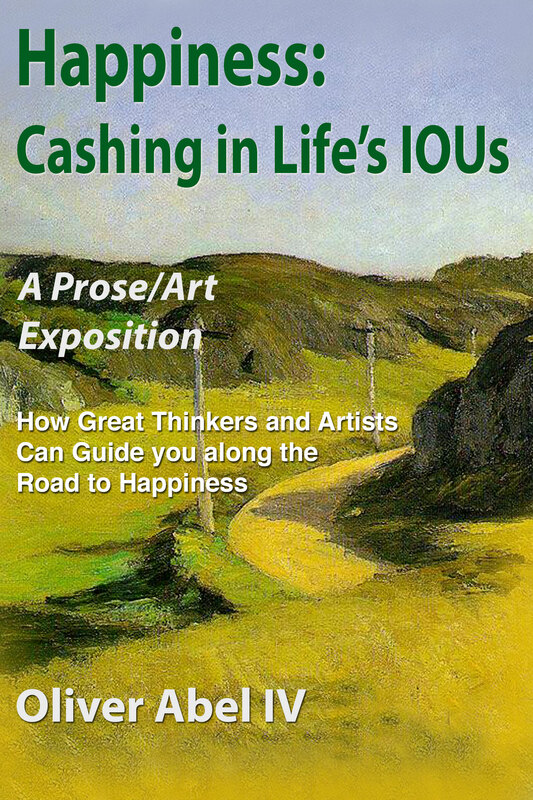 The cost is only $5 and many “aha” moments await you in this innovative book! Thanks for the comment and for visiting our site. I hope you come back often and please comment on anything that we post – whether good or bad!